Dentists get a bad rap on TV and in the movies. We thought we’d take a look at some lovable dentists from popular Television programs. 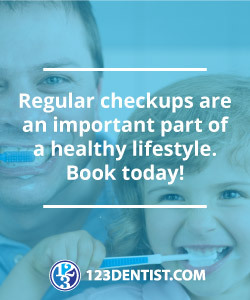 Take a look at the list below and tell us what you think! Bob Fish is just an average guy, who happens to be a dentist in his native London. The lovable Bob and his wife Margaret live relatively unremarkable lives but somehow audiences loved tuning in to see their day to day struggles. There probably hasn’t been a more likable, relatable portrayal of a dentist on television than Bob. The original short for the series won an Oscar! In this Disney TV Movie, Kirstie Alley plays a dentist who gets recruited to be the tooth fairy. The plot is very much in line with The Santa Clause, a Tim Allen movie Disney made just a few years earlier. It might not be Oscar worthy, but Toothless actually has quite a loyal following for a television movie that time forgot. Kirstie Alley was still quite popular in 1997, at least on television. Hermey the elf from Rudolph the Red-Nosed Reindeer is a classic, beloved character. The cliché of parents pushing their children into a career they don’t love, like dentistry, is flipped on it’s head with an elf who wants nothing more than to give people great smiles. Hermey becomes Rudolph’s loyal friend and travels with him to the Island of Misfit Toys. 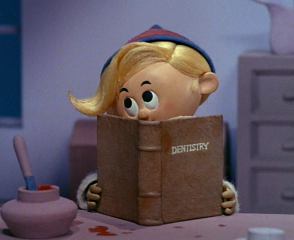 In the end, he gets his wish to practice dentistry and helps save Christmas along the way. Noah is a suburban dentist in the fictional Westchester town of Chatswin, a Stepford-esque community where everyone and everything is a little too perfect and a way too shallow. His good friend George moves to Chatswin, Noah becomes the link between two worlds. Sure he’s not always the most moral of friends, but in the end he is loyal and very good at his job, as this clip on ‘dental charm’ demonstrates. Bryan Cranston plays Tim Whatley, a dentist friend of Jerry’s who reappears on the show numerous times over the years. Cranston was so popular on the show that he used his experience on the sitcom to land the lead role of Hal, Malcom’s dad on Malcom in the Middle. From there, Cranston went on to play the iconic Walter White, on the excellent (but not suitable for children) ‘Breaking Bad.’ This clip doesn’t actually feature Cranston, but it does show how Seinfeld made use of dentists for comic material.